PORTSMOUTH, New Hampshire (February 14, 2017), Software powerhouse, WEB-IMPAC (a division of Hampton Bates Public Relations) announces its free new Software Testing Program offer exclusively for not-for-profit agencies across the US. The Web-Impac Star Points System software was developed in cooperation with Hampton Bates, a leading PR firm as a new customizable rating system that automatically tallies star-points for nonprofit agencies, colleges, and universities or anyone who needs to know what people think about their organizations’ programs or services. How It Works: Our proprietary Star Points System is a rating application that attaches directly to an agency’s website, and through Web-Impac’s trademarked software it captures and tallies a one through five-star rating using exclusive algorithms as well as collecting additional feedback via the featured comment box. The Star Points display totals the special rating based on the number of stars given and the number of participating reviewers. The Star Points System can be used in several different ways to spur healthy competition, for goal tracking, or incentives. “Web-Impac is committed to offering real solutions to help nonprofits leaders develop key performance indicators (KPI’s), so they can succeed in all areas of donor relations, programming and client satisfaction,” says, Sylvia Hampton, President of Hampton Bates PR and Co-Founder of Web-Impac. Streamlined for software testing (Beta Testing) release, the free distribution of Web-Impac’s Star Points System will let nonprofit organizations measure what their constituents think about their programs and services in real-time. This newest and most powerful nonprofit version of the Star Points System is offered immediately and is free to nonprofit organizations on a first come, first serve basis. The software testing program includes product tours, animated tutorials, and case studies with national publicity rollout, which will be unveiled online at www.webimpac.com to coincide with the launch the of the Web-Impac Star Points System software testing program. The Web-Impac Star Points System program users will also benefit from the services of a professional Star Points consultant. Improving our exciting new software as a result of testing. Please send an email to info@webimpac.com. Include your full name, your title, name of the nonprofit organization, address, Telephone, and email. We will contact you with further information. Web-Impac provides a variety of website business intelligence and voter software applications for businesses and nonprofit agencies. Many of the applications can be purchased off-the-shelf or through our custom packages. Our proprietary software measures what a customers’ think about your website, product or service and the results are captured in real-time which can be your key to product improvement and maintaining market share. How we measure customer response and gather information is unique and different than any other software company. 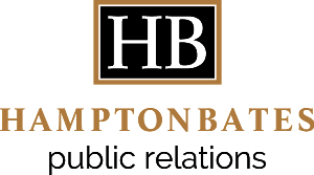 Hampton Bates is a leading PR agency known for its branding/public relations expertise and results-driven approach. We offer strategic PR campaigns that educate, influence and communicate brand success.